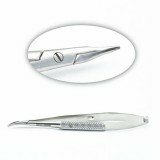 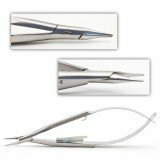 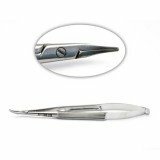 Corneal needle holders are used to secure needles in position while sutures are applied. 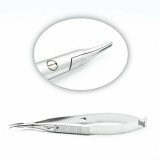 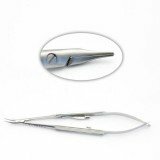 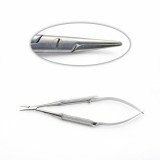 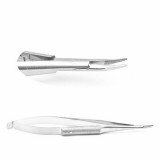 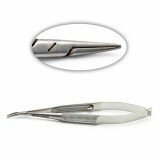 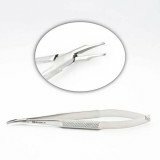 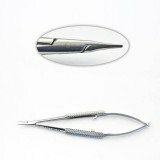 Cornea holders such as the Barraquer needle holder feature spring action handles with a rounded knurled handle, with or without a clasp. 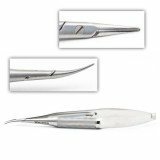 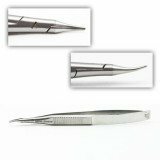 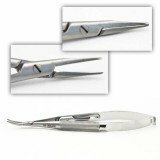 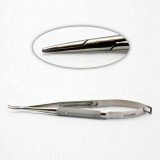 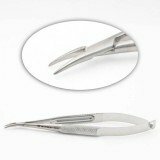 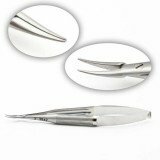 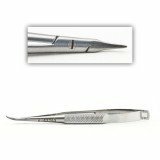 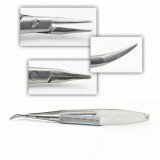 They are ideal for use with lower gauge needles during intraocular incisions. 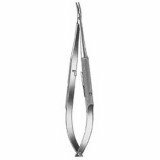 Cohan needle holders feature similiar handles with mini, curved jaws. 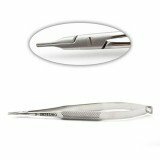 McPherson needle holders feature a flat, ribbed grip area with tapered, narrow jaws that can be either curved or straight and can come with or without a lock. 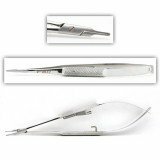 Additional styles, such as Cohan, Osher, Anis, and Troutman are also commonly used in corneal procedures.